It’s so easy to avoid new experiences, and remain in our comfort zone. For me, I’ve always had butterflies about the excitement of new possibilities. Trying new things and new experiences forces me to live outside my comfort zone. For me its seductive and fulfilling. Once you put yourself outside your comfort zone, you just want more. With all the different experiences out there in life…how can I not take advantage. I will say it is a challenge when you’re juggling work, family and home life. With my need to accomplish my to-do list (and lets not forget my bucket list! ), I have to remind myself it doesn’t all have to happen at once. I just came across this quote: “aspire to inspire before you expire”. great quote!! u look beautiful with your mystery man!! Fortune, love love your blog. Can’t wait to hear more!! Good luck!! 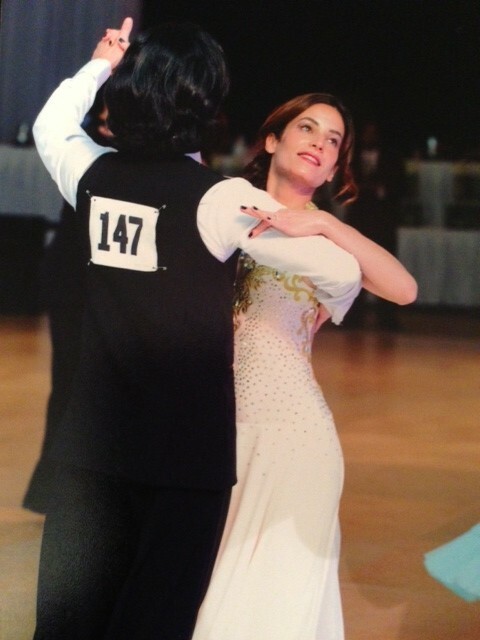 Well, it’s 6 am, I’m planning out my day, looking at a picture of beautiful you ballroom dancing and talking about getting outside of our comfort zones and I’M INSPIRED!!! No doubt this is my new go to blog! !